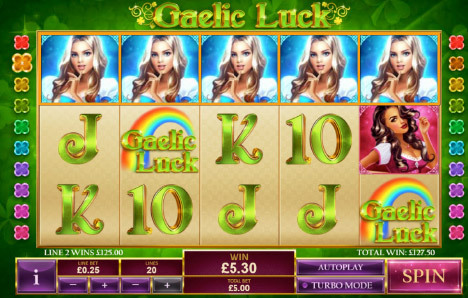 Fly Casino is thrilled to inform you that Gaelic Luck online slot game is now available for play. Just in time for the St. Patrick’s Day weekend, this stunning 5-reel, 20-line game is filled with exciting game play, sounds and unbelievable graphics! When you enter the bonus feature you are greeted by three beautiful Lasses. Pick the one you fancy the most, a tough choice as they are all stunning! Your desired choice will reveal either 3, 4, 5, 7, 10 or 20 free games. Thereafter, 6 four-leaf clovers will then be presented for you to choose from to reveal a multiplier bonus worth 2x, 3x, 4x, 5x, 7x or 10x to be applied to all your wins during the free games feature. It’s possible to retrigger the feature to potentially enjoy a total of 40 free games with all winnings multiplied by 10x! Enjoy St. Patrick’s Day weekend at Fly Casino by playing Gaelic Luck. Quad Bonuses Sunday! On Sunday from 00:00GMT until 23:59 GMT, all members on their first deposit of just $/£/€30 or more will receive a 77% bonus up to 77.00. Claim 4X! Double $100 Play Day! From 00:00GMT until 23:59 GMT, all members on their deposit of $/£/€40 or more will receive a $/£/€60.00 bonus. Claim it 2X! $300.00 BIG TUESDAY! From 00:00GMT until 23:59 GMT, all members on their deposit of $/£/€30 or more will receive a 75% bonus up to $300.00 bonus.